Eric Teye Matey PharmD, RPh, BCACP has been a pharmacist at Mayo Clinic since graduating from Howard University School of Pharmacy in 2004. From 2006 through 2009, he worked with Mayo Specialty Pharmacist in charge of Growth Hormone Deficiency, Primary Immune Deficiency, and Hepatitis C. In this capacity, he collaborated with specialists in these fields to ensure appropriate medication dosing and patient education for optimal medication experience. In 2009, he began working within the clinic as a Medication Therapy Management (MTM) pharmacist with interest in pharmacogenomics and Macrobacterium Avium Complex (MAC). He became a Board Certified Ambulatory Care Pharmacist (BCACP) in 2012, the second year that the Board of Pharmacy Specialties offered the ambulatory care specialty exam. Dr. Eric Teye Matey volunteered at the salvation clinic in the past with Dr. Robert Hoel with a focus on diabetes education and medication management for underserved patient populations in Rochester MN. In his spare time, he enjoys biking and as captain of Team Humphrey’s (Tour de Cure-ADA) continues to raise funds for diabetes research and awareness. He is a board member of Africa Partners Medical, a nonprofit organization, which primary goal is to stop needless death in Africa. Professional memberships include MPhA, APhA, ACCP and ASHP. 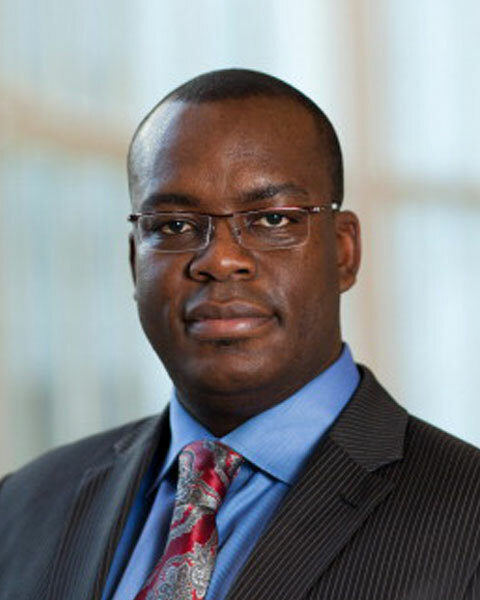 Bio: Eric Teye Matey PharmD, RPh, BCACP has been a pharmacist at Mayo Clinic since graduating from Howard University School of Pharmacy in 2004. From 2006 through 2009, he worked with Mayo Specialty Pharmacist in charge of Growth Hormone Deficiency, Primary Immune Deficiency, and Hepatitis C. In this capacity, he collaborated with specialists in these fields to ensure appropriate medication dosing and patient education for optimal medication experience. In 2009, he began working within the clinic as a Medication Therapy Management (MTM) pharmacist with interest in pharmacogenomics and Macrobacterium Avium Complex (MAC). He became a Board Certified Ambulatory Care Pharmacist (BCACP) in 2012, the second year that the Board of Pharmacy Specialties offered the ambulatory care specialty exam. Dr. Eric Teye Matey volunteered at the salvation clinic in the past with Dr. Robert Hoel with a focus on diabetes education and medication management for underserved patient populations in Rochester MN. In his spare time, he enjoys biking and as captain of Team Humphrey’s (Tour de Cure-ADA) continues to raise funds for diabetes research and awareness. He is a board member of Africa Partners Medical, a nonprofit organization, which primary goal is to stop needless death in Africa. Professional memberships include MPhA, APhA, ACCP and ASHP.